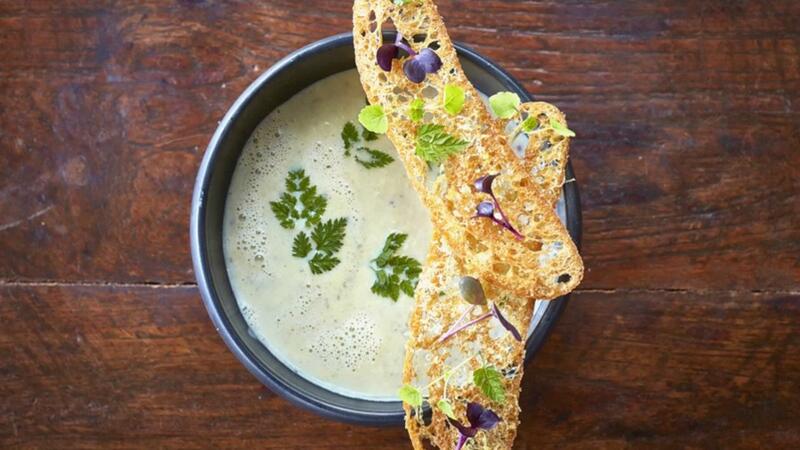 This earthy, creamy and warming soup paired with crunchy crostini makes a perfect appetizer. Add Knorr Mashed Potato to bind the soup. Check if they are crispy, if not, bake a little longer. Pour the soup in a bowl. Add fresh herbs on the crostini’s.